The ACLU has called for an investigation citing the judge’s “improper” actions. A tough Texas judge has released a group of defendants, reportedly saying it was what voters wanted, a day after he lost his re-election bid. Republican Judge Glenn Devlin let seven juvenile defendants go on Wednesday – including some charged with violent crimes, according to local media. Witnesses said that before releasing the defendants he asked them if they planned to kill anybody. The American Civil Liberties Union (ACLU) is demanding an investigation. 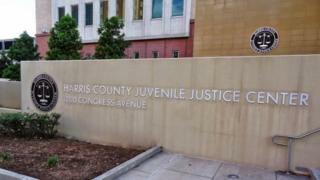 The Harris County District Attorney Kim Ogg has condemned the jurist’s actions. According to the Houston Chronicle, the defendants face charges ranging from misdemeanours to violent crimes, and prosecutors in court at the time expressed concern at the releases. The judge has not responded to multiple requests for comment. The cases will be heard again on 4 January, when Judge Devlin’s replacement, Natalia Oakes, takes the bench. The ACLU, a civil liberties watchdog, has called on the Texas Commission on Judicial Conduct to look into the matter. Judge Devlin was one of 59 Republican jurists who lost their seats to Democrats on Tuesday, including all three juvenile court judges, the Chronicle reported. Last month, an investigation by the newspaper found that Judge Devlin and one other judge had sent to prison more than one fifth of all juveniles locked up last year. "viralnewsshow.com" is mainly news, entertainment, politics & fashion based website. We provide you with the latest true news and videos which updated you with time.